Everybody goes to camps for different reasons. Some want to get out on the road after a long winter. Some want to expose themselves to a more challenging environment with their peers to see where they are at. Some simply want to get away and spend a week with no other worry than training. These are all great reasons to be at a camp. 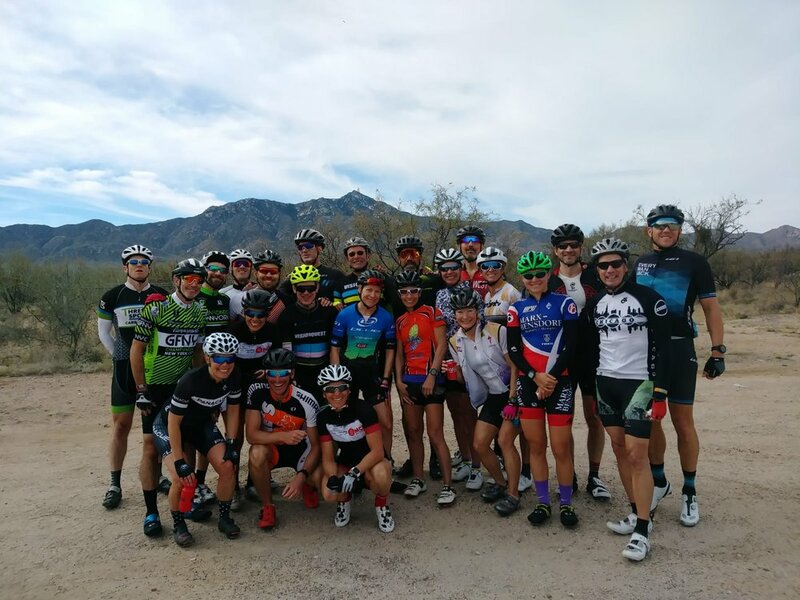 Our camps are over twelve years strong, camps include fully supported training and guidance from a team of veteran coaches, some of which are current or former pro triathletes. Education is a big priority, too: Nightly presentations included by our trusted professionals and guests. Because these are long standing camps that see a lot of returning athletes year after year, new campers learn not just from the coaches but also from the “senior” campers. This camp’s reputation for camaraderie and friendliness is second to none. “I tried many sports growing up and never really felt like I fit in. I became interested in sports later than many other kids and it was a challenge for me to break into their already tight knit groups. That all changed in May of 2004 when I did my first #triathlon at the Got The Nerve Sprint Tri. I passed through that finish line, my result was nothing special, but, on the other side, people I didn’t know were high-fiving me and chatting with me as if I’d known them for my entire life. I don’t know if it’s because triathlon is an individual sport, one where many different levels can compete at one time, or if it’s the shared experience of suffering that brings us all together, but I finally felt welcomed into a sport as the socially awkward teen that I was. I felt a part of a special community and I felt proud. “I’ve been attending, organizing or coaching camps since 2000. I see a lot of value in camps in an athlete’s overall development. I always push myself to new levels at every camp I’ve ever done. I won my first Ironman after attending a camp”. Be exposed to new things, so come with an open mind to learn.Meet new people who share your interests. I've made some of my closest friends from camps.See a new place. Test and push yourself in an environment where you don't have to worry about much other than training.Create memories and expose character you never knew you had.Always come armed with a good sense of humor.Always come humble and ready to learn.I promise that you'll walk away with new friends, new perspectives, and a new motivation towards your season. Grit happens. And sometimes in the most surprising places. Our MCC triathlon camps are an opportunity to find out who you are. And who you are not. See our camps page to save the dates for future camps. Come join us and become apart of our MCC family.